Whenever I get sent products to review, I like to get full use of them to get a good feel of what they have to offer in order to review them properly. Nivea is a brand that I have loved and used since I can remember. The german company is known for its quality skin care range and affordable prices, I am very glad to have tried these products so lets dive into it. Say goodbye to panda eyes, this makeup remover gets rid of your waterproof eyeliner, mascara and lip stains. You just need to shake the bottle, pour a small amount on a cotton pad and hold over your eyes for a couple of seconds before wiping away. It will remove every trace of your long-wearing face and eye makeup without tugging or harshly rubbing your face. This makeup remover contains cornflower extract which soothes the sensitive eye area and is safe to use with contacts in. So I’m going to be honest and say I was naive and thought micellar water was just overpriced water. I had not heard of it until mid last year and funnily enough it has been around for years, I was just clueless to its existence. This 3 in 1 product removes eye makeup in the most gentle way, it deep cleans the face and moisturises the skin. It has a handy flip-top lid with a small hole to dispense the liquid and I can’t stress how important it is to use it correctly. Below are the steps that work for me. Pour a small amount on two cotton pads and dispense enough to wet the middle of each pad. Gently place each pad over your eyelids whilst keeping eyes closed and press gently leaving them on for about 10 seconds. Slowly and gently wipe across the eyelids outwards. Then gently wipe under your eyes to remove any smudged mascara. Flip the wet pads and repeat the same steps with the clean side. Some people feel using a face toner is not a necessary step in their face regime. 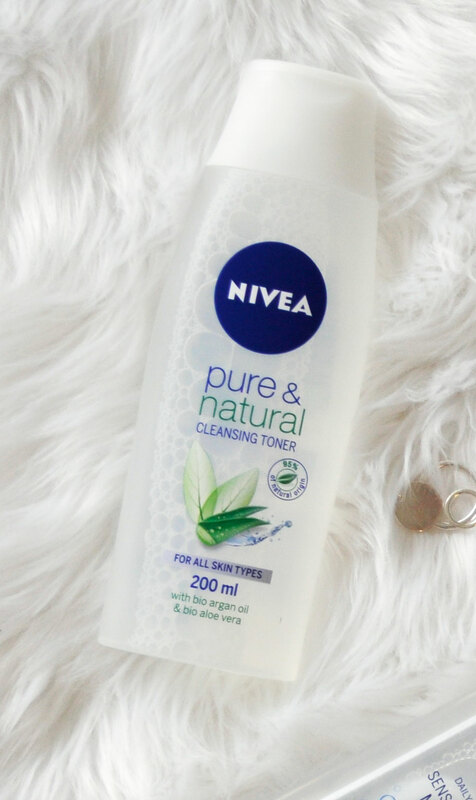 I have been using this toner every second day when I’m not using the micellar water. It removes every single trace of makeup, in result leaving me feeling squeaky clean and refreshed. This toner also comes in an easy to use flip-top lid, I just pour a small amount onto a cotton pad and sweep over my face, neck and décolleté avoiding the eye area. I saved the best for last! I was really impressed with practically everything about this day cream and I can’t sing its praises enough. This is the last step to my current skin care routine, I gently massage it on my face and neck avoiding the eye area. It has SPF 30+ which is a big bonus for me, it easily absorbs into the skin and is non greasy upon application. 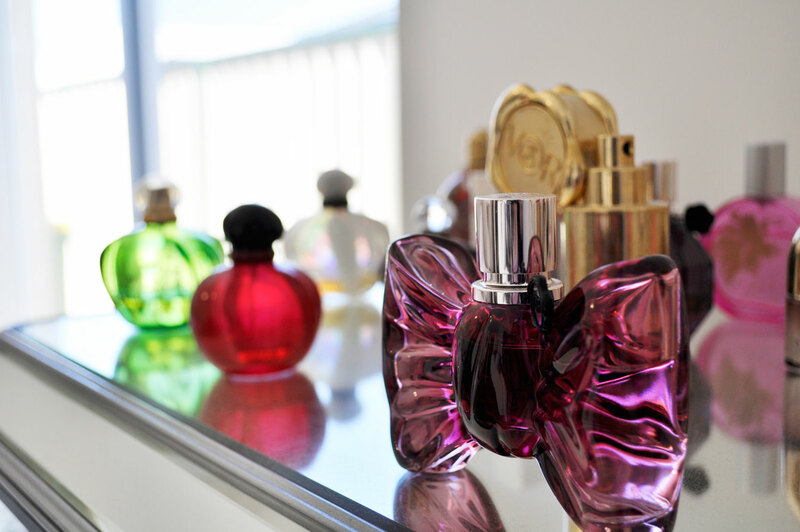 The scent is subtle and delightful and it leaves my face feeling radiant, hydrated and moisturised. It’s designed to reduce and prevent wrinkles and dark spots, this formula is prefect for all skin types and is great value for money! 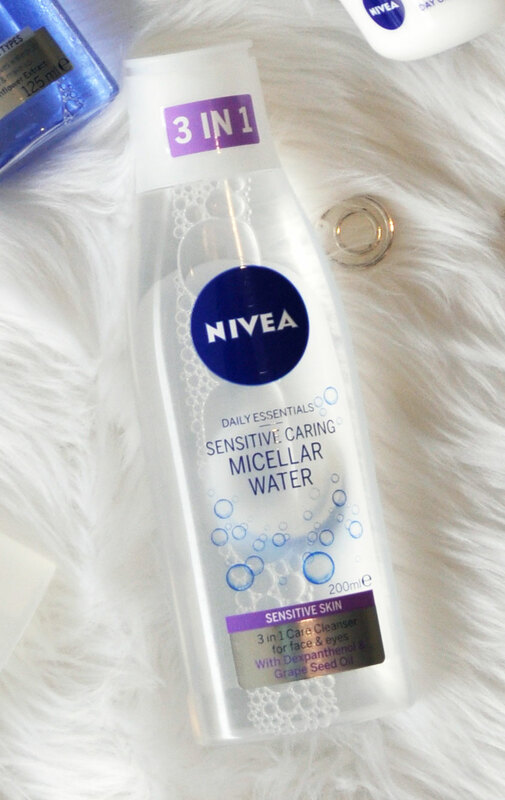 I love the idea of Micellar water but find it works better as just a makeup remover than a one-step cleanser. For one thing, I have sensitive acne prone skin and the Micellar waters I’ve tried, so far, lead to breakouts after several days and I think it’s because they don’t clear & clean enough. As a test I’ve taken to putting something strong on a cotton pad, like isopropyl alcohol, and doing another swipe after the Micellar to see if there’s traces of makeup left and there always is. Same with other makeup removers and wipes to be fair. But used in addition to cleansing it seems really nice. I LOVE how my skin is so soft after a swipe of Micellar. 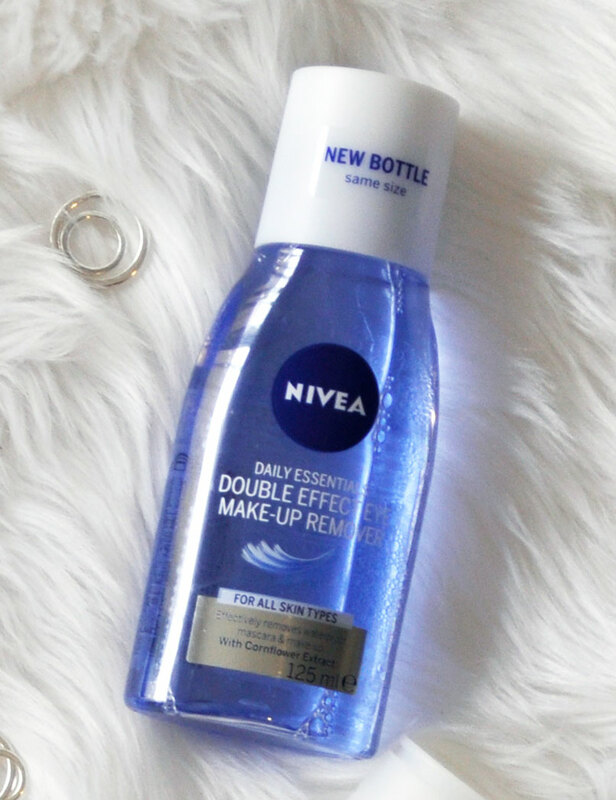 I haven’t tried Nivea’s yet and don’t know if they make or sell that one in the US yet (though we do have other Nivea products) so I’ll keep my peepers open because I’d love to try it. From your review it sounds superior to Garnier & Simple’s Micellar Waters. =) Great review. Thank you so much for your feedback Susan 🙂 I found your comment really helpful! I am new to Micellar water and I love love love the way my skin feels after using it 🙂 At times however if I do cake my makeup on I find it best to use a makeup remover prior to The Micellar water. Anyway-I like that this Micellar looks to be for sensitive skin, too. If I can find the right one for my skin I’d love to use it and replace several other products with it!! 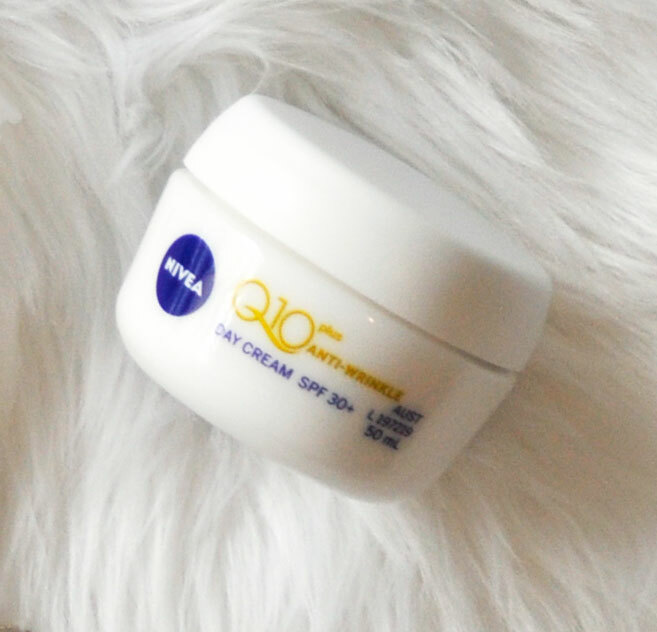 I’m glad you talked about Nivea I’m a big fan for this moisturizer all my life . Thanks for sharing ? You’re welcome Fiona, Thank you for your comment. Do you take all of these pictures? I love the angle of which you take them and the white fur it’s on! Yes I take the pictures myself ☺ Thank you so much Claire.